I had to alter several recipes to get this. The hard part was to get a low carb casserole. Without flour to thicken things up, most casseroles end up runny. I ended up using a cream cheese and parmesan cheese sauce to thicken things up and it worked great. 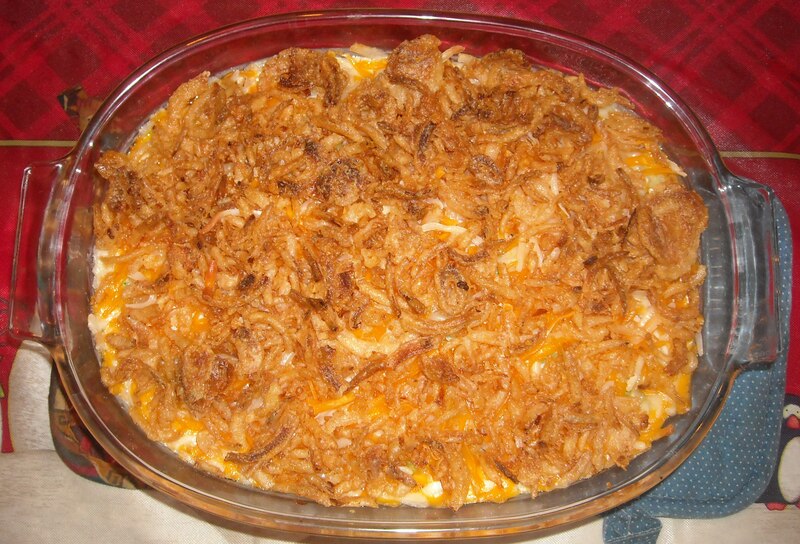 For the hard-core low-carb people out there, you can leave off the fried onions and add an extra layer of shredded cheese for a topper instead. 1. Cut the chicken into bite-size pieces. Sauté in soy sauce, Mrs. Dash, and salt and pepper to taste until fully cooked. 3. Mix milk, cream cheese, and parmesan cheese in a saucepan and heat until creamy. 4. Combine chicken, broccoli and shredded cheese in casserole dish, mixing thoroughly. 5. Pour creamy cheese mixture from step 3 into the casserole. 6. Spread the fried onions over the top. 7. Bake in an oven for 45 minutes at 350 degrees.